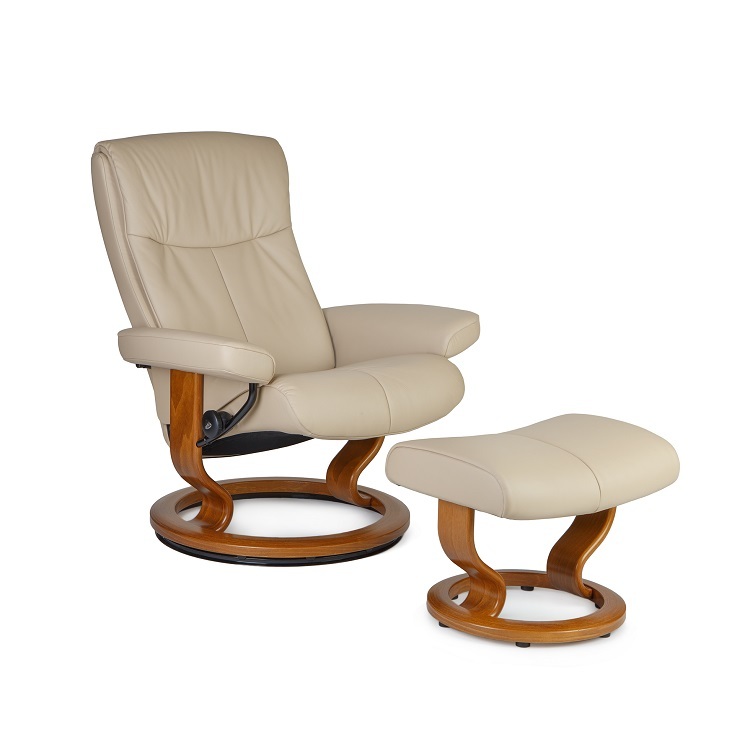 The Peace chair and ottoman by Ekornes of Norway offers classic Stressless comfort with the latest Stressless technology. 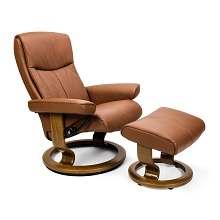 The backrest of the Peace chair is designed to support the entire spine, while the Ekornes Plus system allows the recliner to adjust to shifts in body movement and weight and deliver full support to the lumbar spine. 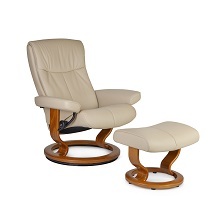 Shown in beige Paloma leather with a classic teak base. 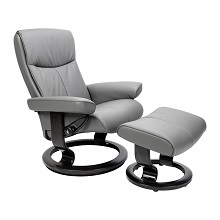 Available in additional colors and base styles.